The Ford EcoBoost 300 is the final race of the 2017 NASCAR XFINITY Series season. In Custer’s 32 starts this season, he has earned six top-five and 18 top-10 finishes while leading 119 laps. Homestead-Miami Speedway is the last of the 11 1.5-mile tracks on the 2017 XFINITY Series schedule. Custer leads the 2017 XFINITY Series in points at 1.5-mile tracks this season with 362. In 14 XFINITY Series starts and nine NASCAR Camping World Truck Series starts at 1.5-mile ovals, Custer has five top-five finishes and 13 top-10s. Custer has earned three top-fives in the XFNITY Series this season at 1.5-mile tracks – April 8 and Nov. 4 at Texas Motor Speedway in Fort Worth (fifth each time) and Sept. 23 at Kentucky Speedway in Sparta (fifth) – and finished in the top-10 at three other venues – March 4 at Atlanta Motor Speedway (10th), May 27 and Oct. 7 at Charlotte (N.C.) Motor Speedway (seventh and sixth, respectively) and Sept. 16 at Chicagoland Speedway in Joliet, Illinois (seventh). Custer’s best finish in the 32 XFINITY Series races run this season is fourth, earned in the 11th race of the year June 3 at Dover (Del.) International Speedway. The result equaled Custer’s best career XFINITY Series finish, which he claimed in his series debut in May 2016 at Charlotte. Custer’s best qualifying effort in the 32 XFINITY Series races run this season is second on Nov. 4 at Texas. Custer has 10 top-five and 23 top-10 starts this season. Custer is third in the XFINITY Series Rookie of the Year standings, 42 points behind leader William Byron and 13 points behind second-place Daniel Hemric. Custer has earned nine Rookie of the Race awards this season, four of which have come at 1.5-mile tracks (fifth at Texas, twice; 11th at Las Vegas Motor Speedway and sixth at Charlotte). Rookie of the Race awards are given to the highest-finishing rookie. Last week at Phoenix Raceway, Custer battled above and below the championship-contention line to finish just four points out of the cutoff to advance to the Championship 4 at Homestead. Custer has clinched the fifth spot in the season-ending point standings. 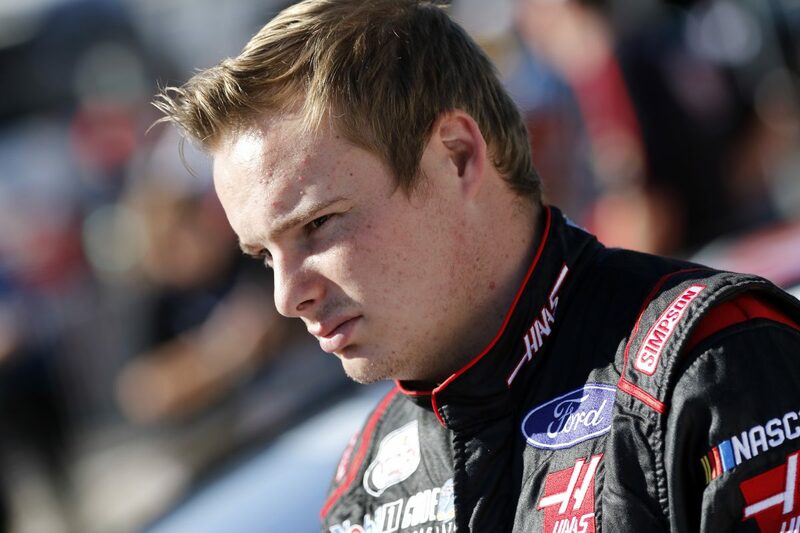 The Ford EcoBoost 300 will mark Custer’s 38th career XFINITY Series start and his second XFINITY Series start at Homestead. Before the XFINITY Series season opener at Daytona (Fla.) International Speedway, you said the goal was to run consistently in the top-10 and earn a spot in the playoffs. You’ve earned six top-fives and 18 top-10s and were only two positions short of clinching a spot in the Championship 4. From a young rookie looking at an empty shop floor in December to a near-Championship 4 contender, have you exceeded your own expectations? The Haas Automation team has statistically performed better at 1.5-mile tracks than any other team in the XFINITY Series. Does this give you something to prove at Homestead this weekend? What’s a lap around Homestead like? Is there something to be shown for how well the team has run at 1.5-mile tracks this year as you get ready for the season finale at Homestead, which happens to be a 1.5-mile oval?